REDUCED! Reimagine or develop this unique home on a huge L shaped lot in Valley Glen. 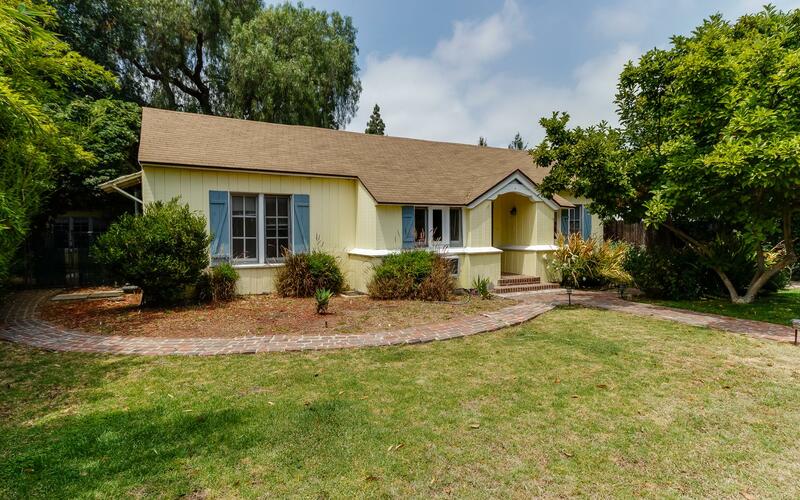 Boasting street frontage on Califa and Buffalo, a Pool & detached cabana, this home has so much potential. Single family home facing Califa needs TLC to bring it to its former glory. Arched ceilings, breakfast nook, and classic details make this property ready for your fixer tastes. Detached pool cabana faces frontage on Buffalo and not included in square footage - has full kitchen, granite, and 3/4 bath can operate as a mother-in-law, office, or a teenager''s dream house. Trust sale no court confirmation required.